The Libbey 3010 is part of the Perception series, a selection of glassware that makes use of bold, gently curving lines. 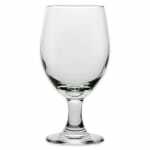 This banquet goblet features a thick stem and slightly tapered bowl and will complement any tabletop configuration. 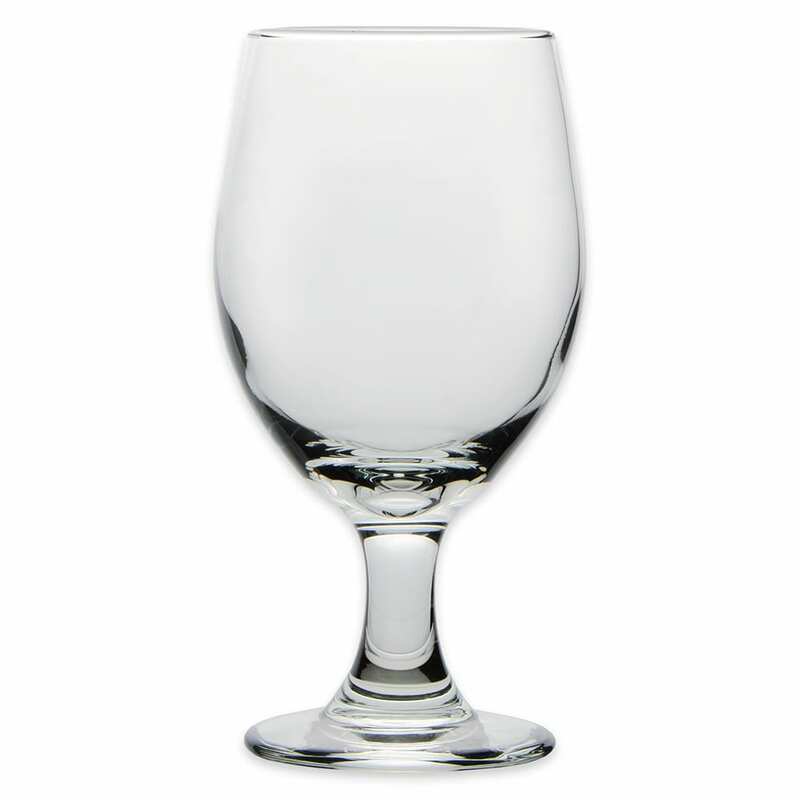 This versatile Libbey glass has a 14-ounce capacity for serving water and tea, but its stem also allows it to be used as an all-purpose wine glass. The Libbey 3010 is covered by the Safedge Rim & Foot lifetime guarantee, which covers the rim and foot of the glass against chipping. Although breakage is not covered under the guarantee, this glass is made with durable one-piece construction and designed to withstand commercial use to provide you with a beautiful, long-lasting product. Overall Dimensions: 61⁄2 in. H x 33⁄8 in. max dia. x 23⁄4 in. top dia. x 3 in. bottom dia. "We needed new everyday glasses that were sturdy, but looked good. These are perfect. My husband said these are the best glasses I have bought." "Great price for Libbey glasses. Saved over $50 on 4 dozen goblets from our local distributor! I will be back to order for our Yacht Club!" "They are a very nice size, clear and nice glass. I was very happy with the order process and they came very quick and non were broken. I hope t..."
Yes I would purchase these again. They are a nice! "They are a very nice size, clear and nice glass. I was very happy with the order process and they came very quick and non were broken. I hope they will stay the way they are after many uses."